The AG Neovo DSK-32 is a 32” professional Kiosk display that offers a full set of commercial grade features with superior visual performance. The built-in Octa Core media player, with 24/7 capabilities makes the DSK-32 an ideal solution for demanding digital signage applications. 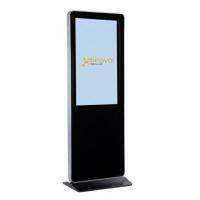 Meer informatie Neovo 32" Display Touch All-in-One 32 "
Meer informatie Neovo 32" Kiosk All-in-One PCAP Tou 32 "